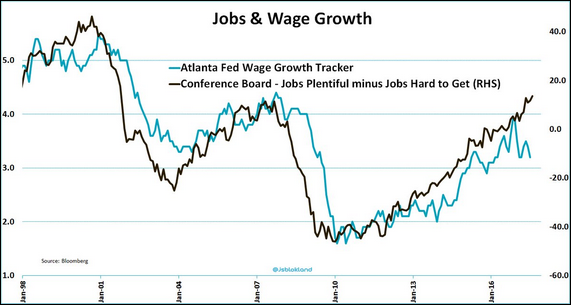 The United States: This chart shows the divergence between the labor market strength and wages in the US. 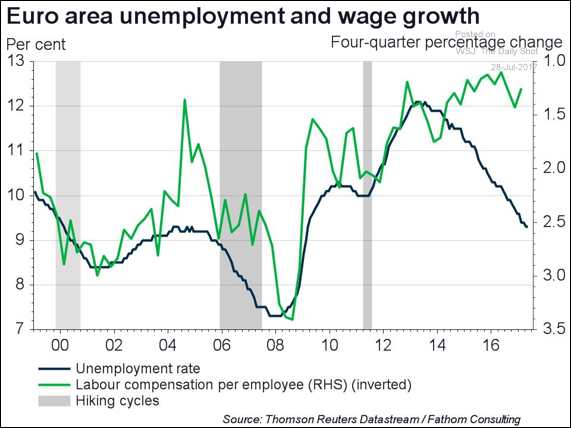 It’s worth noting that a similar disconnect exists in Europe. 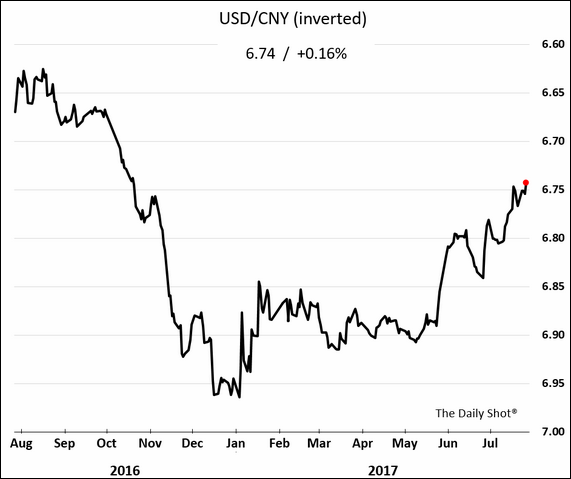 China: The renminbi continues to strengthen against the dollar. 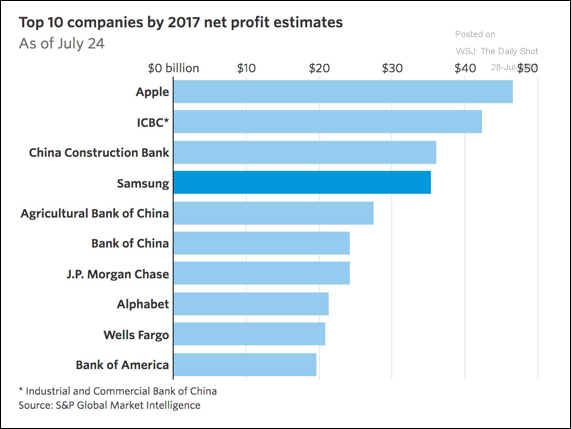 Global Developments: Here are the top ten global companies by 2017 profit estimates. 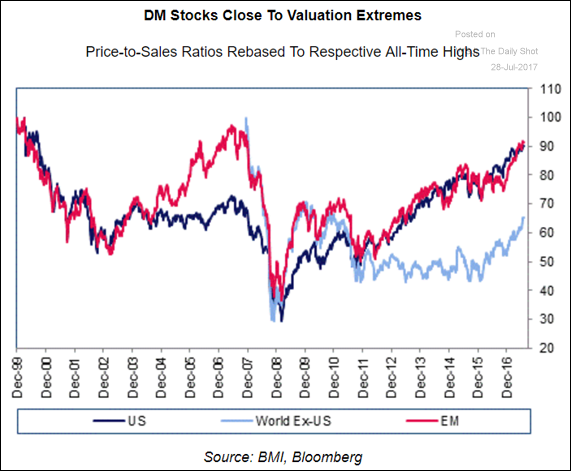 Equity Markets: Are current valuations close to extremes? 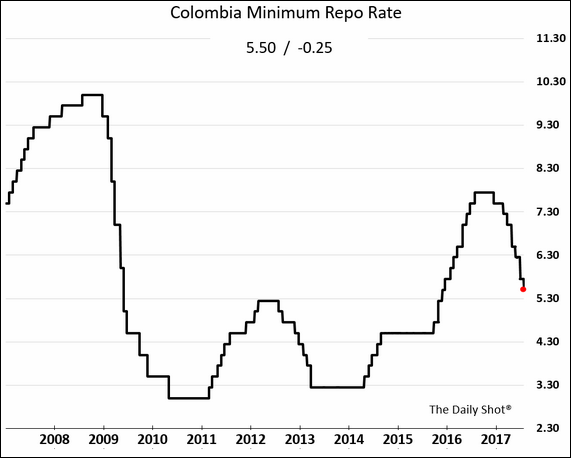 Emerging Markets: Colombia’s central bank cut rates again amid slowing inflation. 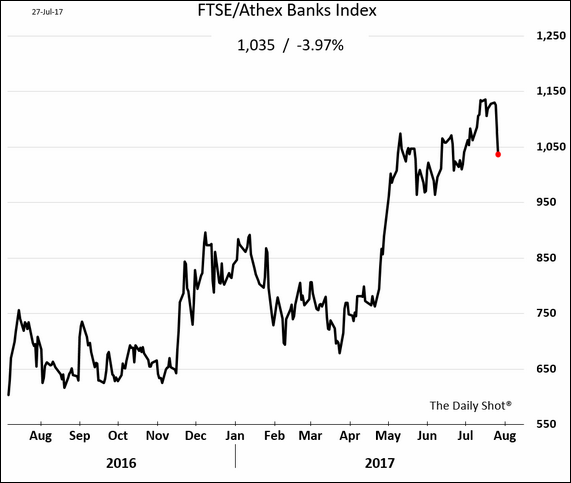 The Eurozone: Greek bank shares took a hit after a massive rally over the past three months. 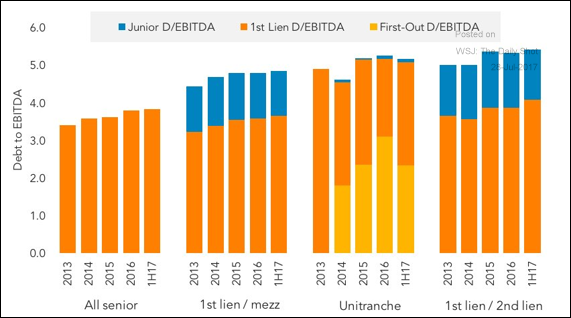 Credit: This chart shows middle market debt leverage over time for different parts of the capital structure (“unitranche” means a single piece of debt that combines first and second lien). 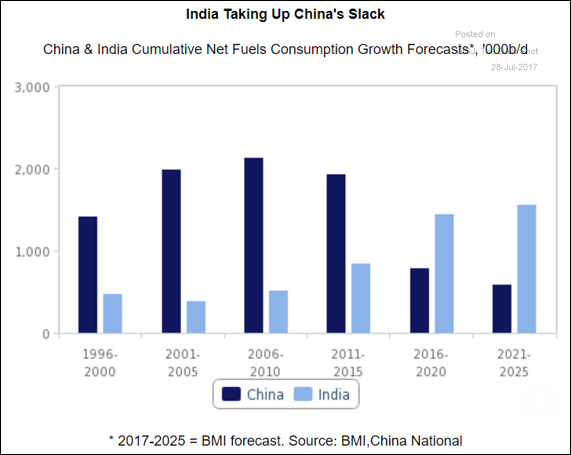 Energy Markets: India’s fuel consumption growth is picking up, just as China’s slows. 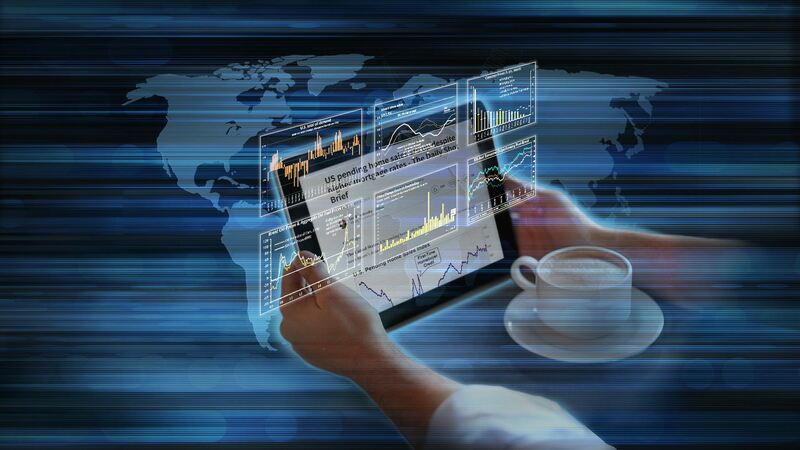 Food for Thought: The most hated office jargon.